KNAU is the premier source of balanced, accurate information, civilized discourse, and cultural inspiration in northern Arizona. We reflect the distinctive qualities of our region and operate in efficient and sustainable ways. KNAU is a public service of Northern Arizona University. Please visit the Frequently Asked Questions page to check current employment opportunities at KNAU. KNAU serves a huge coverage area: ranging from Kingman on the west to Ganado on the east; Grand Canyon Village and Page on the north to the fringes of the Phoenix metro area on the south. KNAU's coverage area also includes both the Navajo and Hopi Reservations. KNAU has been a public service of Northern Arizona University for 33 years.  Since signing on in 1983, KNAU has expanded to serve the greater northern Arizona region, providing two programming streams, Classical Music and NPR News and Talk. KNAU is constantly striving to better serve northern Arizona by improving radio signals to outlying areas. Since 1983, we have constructed 13 transmitters and, in 2008, started construction on a satellite interconnection system. Over the years, KNAU’s news department has won dozens of Edward R. Murrow awards for news writing, best newsroom, and best feature news stories. 2001 - KNAU broadcasts two streams: (1) NPR News and Classical Music and (2) NPR News and Talk; KNAU trademarks name "Arizona Public Radio"
2003 - Indian Country News Bureau partnership created with KUYI Hopi Radio. 2005 - Partnership established with KAWC Yuma. 2006 - Edge of the Rez Revisited produced with Arizona Daily Sun. 2007 - Repeater stations built in Payson and Cottonwood. KNAU now provides two channel service to Flagstaff, Prescott and Cottonwood. 2010 - KNAU joins the Fronteras Changing America partnership along with six other NPR member stations in the Southwest. 2011 - A Prairie Home Companion broadcasts their show live from Flagstaff on June 4 at the Amphitheater at Ft. Tuthill County Park.